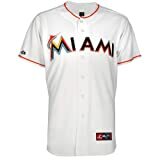 The Miami Marlins are a professional baseball team (MLB) based in Miami, Florida. They compete in the National League (NL) East division. Their home park is Marlins Park. 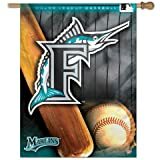 The team began play as an expansion team in the 1993 season as the Florida Marlins and played home games from their inaugural season to the 2012 season at what was originally called Joe Robbie Stadium, which they shared with the Miami Dolphins of the National Football League (NFL). Since the 2012 season, they have played at Marlins Park in downtown Miami, on the site of the former Orange Bowl. The new park, unlike their previous home (which was criticized in its baseball configuration for poor sight lines in some locations), was designed foremost as a baseball park. 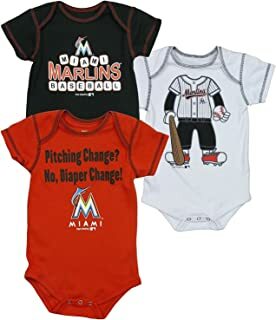 Per an agreement with the city and Miami-Dade County (which owns the park), the Marlins officially changed their name to the "Miami Marlins" on November 11, 2011. They also adopted a new logo, color scheme, and uniforms. 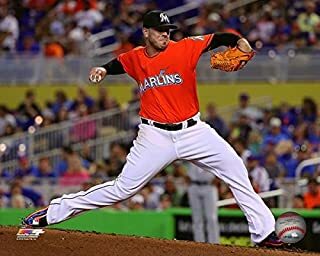 We feature Miami Marlins players of yesterday and today. Here's a link to the complete current roster. 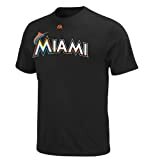 You will find a huge selection of men's and women's Florida Marlins apparel and other Miami Marlins merchandise at Ace's Baseball Store.